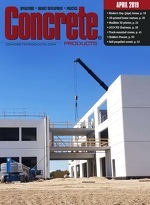 The American Concrete Institute and American Society of Concrete Contractors will release the fourth edition of their Contractor’s Guide to Quality Concrete Construction this month. First published in 1992, more than 85,000 copies of the title have been sold, providing up-to-date knowledge of quality concrete methods. Produced in printed and digital formats, an English version of the new edition will be available in late January with a Spanish version to follow. Additional details are available at www.concrete.org and www.ascconline.org. Written by and for contractors, and referenced by many licensing authorities, the 262-page guide details proven construction practices. Contents include planning for quality, concrete mixtures, specifications, foundations, formwork, reinforcement and embedments in structures, joints and reinforcement for slabs on grade, mix placing, slab or surface finishing, common field problems, safety, and legal issues. With 100 pages more than its predecessor, the fourth edition of the guide features full-color photos and illustrations; new, easier-to-read layout; and, substantial content updates. Also included are 43 ASCC Position Statements, ACI Certification program details, and an appendix introducing several legal issues of interest to concrete contractors. Review questions and additional recommended reading list accompany each of the 12 chapters. Published jointly by ACI and ASCC, Contractor’s Guide to Quality Concrete Construction is intended for all levels of experience.